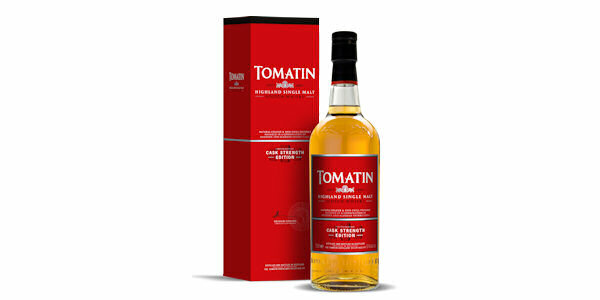 This whisky is the first Cask Strength expression to be added to the Tomatin Highland Single Malt Scotch Whisky core range, allowing us to showcase the true Tomatin style in its most natural state - natural colour, no chill filtration, full strength. Batch 1 was released in February 2015 at 57.5%. A marriage of full maturation Bourbon and Oloroso Sherry casks, it is spicy, sweet and smooth and an excellent addition to the range. AROMA - Golden syrup. Orange and lemon. Pears. Walnuts. Ginger biscuits. Gets sweeter with time. PALATE - Marzipan, burnt sugar. Toasted malt loaf. Chestnuts. Polished leather. Vanilla flavoured tobacco. FINISH - Dry, with a developing spiciness.